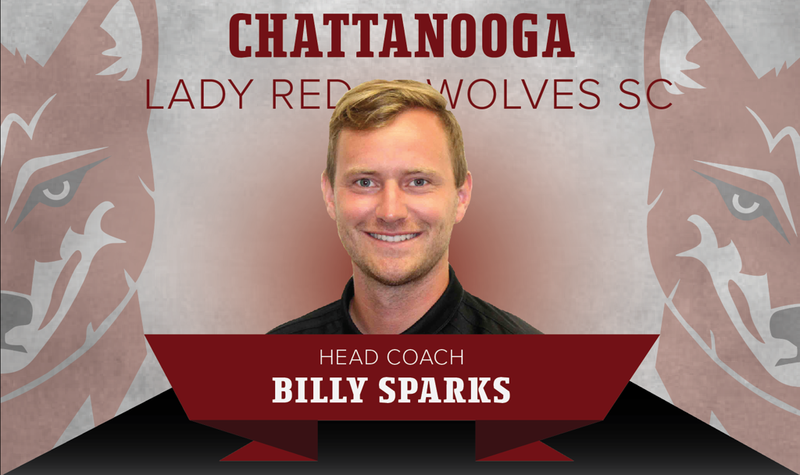 CHATTANOOGA, Tennessee– Chattanooga Lady Red Wolves SC announced Tuesday that Billy Sparks is the next coach of its Women’s Premier Soccer League team. Sparks is an assistant coach for the Tennessee Wesleyan University’s men’s soccer program, a team he joined in August 2018. The Leicester, England native graduated from TWU after a successful collegiate soccer career in 2013 with degrees in Exercise Science and Sports Management. During his time as a player for the Bulldogs, Sparks was team captain for two years, selected All Conference three times, named one of the top 10 NAIA defenders in 2011 and helped the Bulldogs bring home an Appalachian Athletic Conference (AAC) regular season title in 2010 and the AAC tournament championship in 2012. Following his graduation in 2013, Sparks pursued a M.B.A. at St. Andrews University in North Carolina where he was a graduate assistant for the men's soccer team. Under Sparks’ leadership in 2014, the team achieved the best season in school history when the Knights went 17-2-1 and won the AAC regular season and tournament championships. The Knights also made an appearance in the Sweet 16 of the NAIA national tournament that season. Sparks’ returned to TWU after serving as a graduate assistant for the prolific William Carey University Men's Soccer Team during the 2016 and 2017 seasons. The team reached the Elite Eight of the NAIA national tournament both seasons with an overall 34-5-3 record, as well as two SSAC regular season titles and one SSAC tournament title. Sparks currently holds his USSF National D License, NSCAA National Diploma, NSCAA Advanced National Diploma, NSCAA GK Level One & Two, and FA First for Sport Level Coaching Award. Sparks has worked at various youth academies across Tennessee and Mississippi; McMinn United, Chattanooga Football Club, Knoxville Soccer Academy and Hattiesburg Youth FC as well as private soccer coaching with Excel Soccer Training here in Chattanooga. The Lady Red Wolves will begin play in May 2019. Schedule and ticket information will be released soon. For more information, follow the Lady Red Wolves on Facebook, Instagram and Twitter.